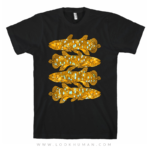 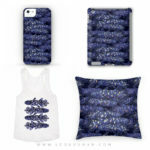 gold & crystal coelacanth shirt! 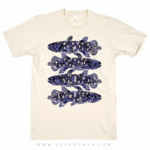 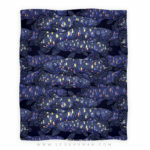 | regular coelacanth shirt! 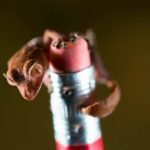 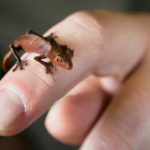 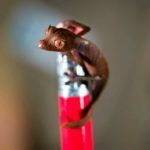 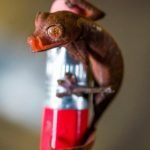 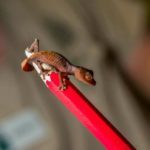 This tiny Fantastic Leaf-tailed Gecko hatched at the Houston Zoo Inc. on February 17 is easy to spot perched on top of a pencil. 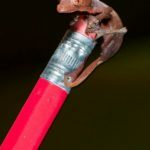 But in the wild, these lizards are so well camouflaged that they’re nearly impossible to find.